As I've prefaced in my last article, there are many ways to gain an advantage in Hearthstone. Tempo is the other concept, having to do with 'time' rather than Card Advantage's tangible resources. 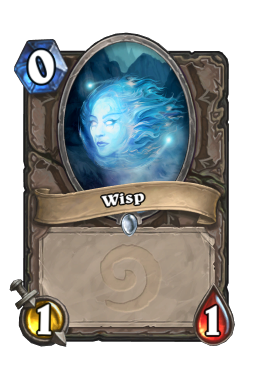 Tempo is just as, if not more, important a fundamental concept as card advantage. It's sometimes a completely different approach to the game, and sometimes a complementary feature in deck-building. These two together are the basis of most deck archetypes present in the game. As the card pool expands in the future, it's only a matter of time before new hybrids and strategies surface. The more there are, the better the distinction will be. Only by understanding them thoroughly will a player be able to stay ahead in the game. I've done a lot of reading long ago as well as prior to writing, and I found that Scott John's 'Introduction to Tempo' (for Magic: The Gathering) article is one of the best format that this explanation could have been done in. Thus, I'll humbly borrow his concept of 'beats' to apply to this article. Firstly, we should be asking the important question. What exactly is tempo? Such a simple question doesn't have an equally simple answer. Tempo is the rate you can use your mana to affect the board. Tempo is the rate you can get your opponent's health down to zero. Either of these definitions could be argued to be correct, and at some point they turn out to be startlingly different. Tempo can be both at times, and only one the other. It's entirely dependent on how relevant the cards both players currently have access to are (as there are no graveyard interaction in Hearthstone) as well as the state of the game. It almost feel unfair to having to pick one, so let's just have both. 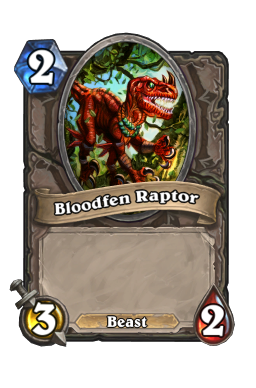 Let's take a look at a few cards: bloodfen raptor , tauren warrior , senjin shieldmasta. These are all fairly simple and straight-forward cards, although their usage are in somewhat of a disparity. However, for the purpose of this exercise, they are in fact perfect. First, let's consider we're talking about tempo as a damage race, the key is to understand and measure how well a player's doing in said race. This is where the concept of 'beats' come in. Tempo is a concept regarding time, so let's think of a 'beat' as a unit to measure time. Every action either player make is a beat. Assuming that beats are equal in power (just for demonstration), the winner of the race is the one who has more beats than the opponent. Let's ignore the variable of hero power for a moment, and examine a game sequence. Turn 1, both players pass the turn. Turn 2, you play the Raptor, while your opponent does nothing. You're now up by a beat. 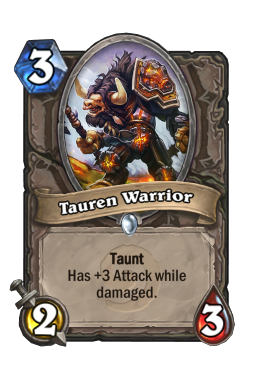 Turn 3 , you attack with your Raptor, and play a Tauren. The opponent responds by playing his own Tauren. Turn 3 was essentially the same for both players, but you're still up a beat. On your next turn, you're free to do whatever you want. You are the one who gets to attack first, or to use spells to whatever manner you'd like to. 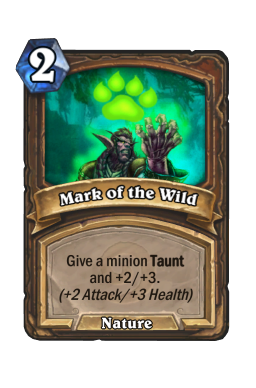 In order to demonstrate the rawest form of this, imagine a player playing an entire deck of Taurens, and a player playing an entire deck of Raptors. Neither can use their hero powers (nor they should). What would happen? Turn 1: nothing Turn 2: A plays 1 Raptor. B plays nothing. (A is now up 1 beat). Turn 3: A plays 2nd Raptor. A attacks. B plays 1 Tauren. (A is still up 1 beat). Turn 4: A trades 1 Raptor (due to Taunt), plays 3rd and 4th Raptor. B plays 1 Tauren. (A is now up 2 beats). While the game is limited by card draw, you can clearly see where this is going. In this specific case of both player's beats cancelling each other out, the player who plays the more efficient beat gets the better end of the deal. Player A gets to play their minions both earlier and cheaper, gaining more and more beat advantage over time. One could say that they have the tempo advantage, and that would be precisely correct. In essence, this is what a tempo advantage is. Staying ahead (or having the initiative) is having a tempo advantage. Naturally, this example I've just made is wholly unrealistic and oversimplified. These specific cards were chosen because they trades with each other perfectly once in play. Actual games will not look like this at all. Beats are, after all, subjective. From the above example, it's easy to see that you'll run out of cards alarmingly fast. Since both player's deck only consist of the same cards, it wouldn't matter in this case. However, in real world scenarios, the quality of your beats are all relative. A turn 2 play of a Raptor is perfectly acceptable. However, a turn 5 play of a Raptor, without anything to follow-up would clearly be sub-par. An opponent playing a Sen'jin on turn 4 will change how the game has went so far quite a bit. Regardless, while beats are subjective (+1 on turn 1 is different from +1 on turn 4) , the ability to recognise which player is ahead in the damage race as well as the board race is crucial. These two factors are not always interchangeable, but they are both tempo by one's definition or the other's. How relevant they are is entirely dependent on what the game plan a player is going for is. Tempo is an advantage, just like card advantage. The more you have, the more likely you should be able to convert that advantage to a win. Once again, it's an advantage, not a dynamic one-way variable™. In this case, both players are competing for who can generate the most beats in the most efficient ways. There are several approaches to this. * Minions: Looking back at the Raptor vs. Tauren example above, we can see that while both minions trade evenly, one player comes out ahead due to their specific minion being cheaper to play. In this case, that minion is more mana-efficient. Minion interaction, or trading, is the classic example of tempo gain. Someone drops a bigger minion first would gain tempo. Someone dropping more of a minion with the same impact would also gain tempo. * Buffs: Can come from both minions and spells. 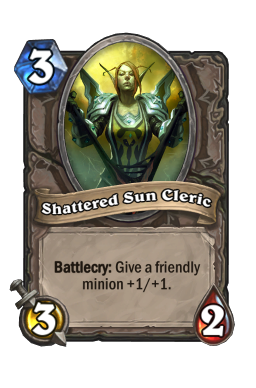 Things like shattered sun cleric or mark of the wild can allow your earlier beats to trade up evenly with later beats of the opponent. 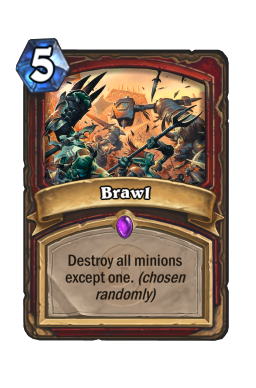 Presuming that you can also summon another minion with the rest of your mana pool, you are now another beat up. Eventually you'll just swarm the opponent and win. At no point are you guaranteeing to get card advantage (though it'd be nice to), but you are still ahead on tempo. You're just playing your cards more efficiently. 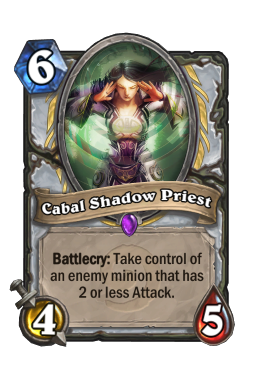 Note that debuffs also count in this case, such as freezes and silences, as long as they are relevant to the board. 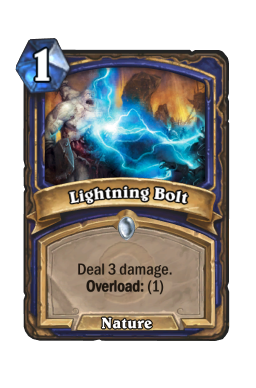 * Damage/removal: Spells like lightning bolt or wrath are cheap and does damage to minions. You can use them to remove a slightly more expensive minion from the opponent. This would allow your minions not to "waste" an attack on the opponent. Once again, however, it's only tempo advantage if you're trading 'less' mana for an opponent's minion. 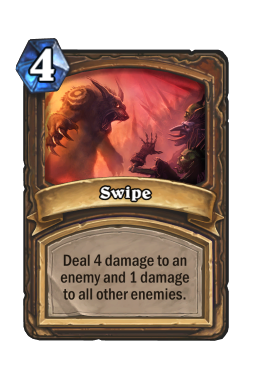 If you spent a 4 mana Fireball to remove an opponent's 4 drop (on turn 4), then you've gained no tempo advantage. Sure, you get the extra hit in, but not the extra beat. The cheaper the removal spell is, while having a favourable trading effect mana-wise, the better for tempo it'll be. * Bounce: Cards like dream , or sap returns a minion to its owner's hand. Bounce aren't cards used to 'gain' tempo per say. 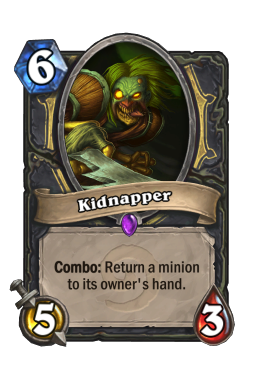 Clearly, the opponent's minion doesn't get destroyed (unless of course their hand is full), so they're free to play it again. With the same mindset as removal spells, bounce cards can only net you card advantage should you have other things to affect the board at the same time. Tempo uses a beat to set your opponent back a beat, without actually getting rid of the threat. Usually because of this, bounce effects are generally cheaper than removals/damage, with the ever so damning exception of kidnapper . Do you see a pattern? That's right. With most of these actions you're doing, you're never guaranteed to gain tempo advantage. Sometimes you hear people say 'my 2 mana minion traded for his 3 mana minion'. This is alluding to tempo. By spending less mana to deal with a costlier threat, you're giving yourself a resource advantage in terms of mana (or time). However, it's only an advantage if you can actually use the spare mana.If you use your whole turn to cancel out the last turn of your opponent's, you've gained absolutely no advantage in tempo. It's instead a tempo-based play, in this case tempo maintenance. It's not, however, necessarily bad. If you're already ahead on tempo, maintaining that status quo will certainly keep the game in your favour. As far as the damage race is concerned, you're pretty ahead doing this. If you're not, however, then retaining the current tempo is nothing but a stall tactic. Even this isn't inherently bad though, and we'll get more to that later. For a final note in this section, using minions or buffs to gain tempo is called 'invested' tempo manipulation. You gain tempo, but you get no further ahead in the damage race. Rather, you put yourself in an advantageous position that *should* net you damage advantage. The small advantage of this method is that should your minion survive, you now have a stronger minion than before. 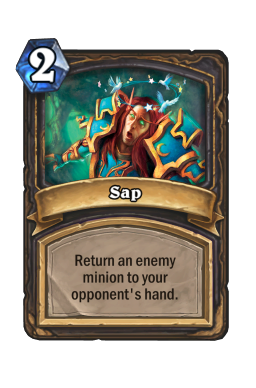 In contrast, removals and bounces (a.k.a 'immediate' tempo manipulation) not only gain you tempo, but allow your minions to swing at the opponent's life total for lasting damage, putting you ahead of the damage race as well as tempo. That was, of course, alluding to the concept of time. Cards are resources. However, resources aren't free. 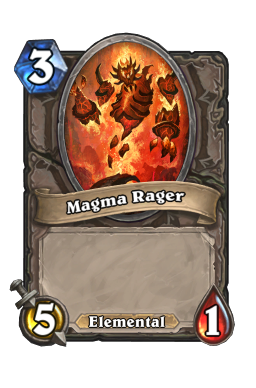 It's not hard to understand that a person holding a hand full of high mana cost cards will never be able to play them as fast as those with significantly lower mana costs. Even if the first person has a lot of card advantage, they wouldn't matter a single bit if they've already lost the damage race a.k.a dropped to 0 in health. A lot of times, you're sacrificing one for another. 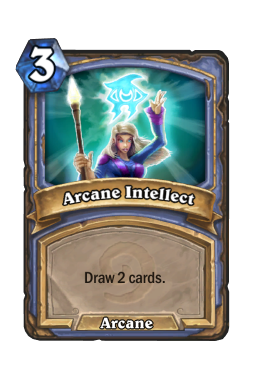 The classic example of card advantage, arcane intellect , is precisely this. You paid 3 mana in order to gain assured card advantage, but you've affected the board in absolutely zero meaningful way, nor have you done damage to anything. 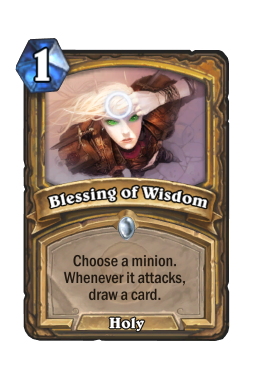 On the other hand, playing a card like blessing of wisdom on your opponent's minion for example, could potentially give you card advantage a few turns from now. However, whether or not it affects the board entirely depends on how the opponent view the importance of card advantage in that specific game. If they think the tempo is worth the extra card, then it has absolutely zero board presence. If they think it isn't, though, then your Blessing of Wisdom just indirectly affected the board. It's a dynamic of interaction that isn't exactly up to you to decide. 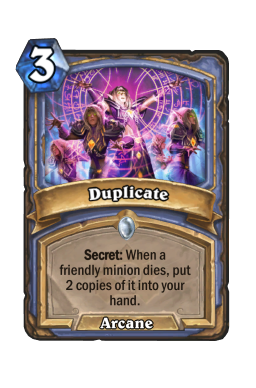 Even something that's a lot more situational like duplicate , also gains you card advantage at the cost of tempo. 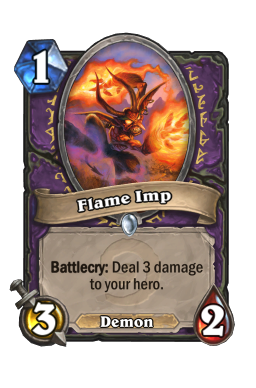 That's 3 mana you're never getting back, that can no longer be used for tempo development. However, this is far more complicated than just a number's game. Playing with effects and limitations is how you come out ahead, and that's one of the beauty of a digital card game like this. That's something for an entirely different piece. Back to tempo, when you're starting to affect the board favourably with effects that generate card advantage, then tempo and card advantage start to overlap. 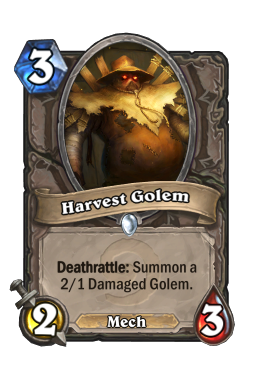 When you play something like a cabal shadow priest , taking your opponent's harvest golem for example, you've just gained +1 beat by playing your creature, remove a beat from your opponent in a form of the Golem, as well as develop a Golem of your own. That's a +3 beat in terms of tempo, as well as a 3-for-1 in terms of card advantage. That's just the strength of mind control effects, which many inexperienced players overlook. 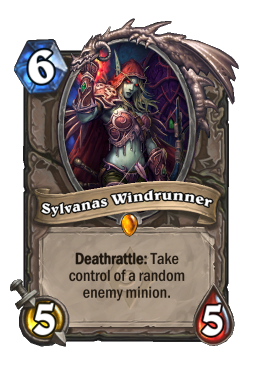 Too many times have I heard Twitch chats cry out 'misplay' when someone use shadow word death on their own sylvanas windrunner that he just played to steal an opponent's ragnaros. It's an equal tempo play (you're -2 beat by killing your own minion with a spell, but you're also +2 beat by developing a Ragnaros, and removing your opponent's) and a 2-for-2 play. The kicker comes in when at the end of your turn, you get an immediate shot out of your Ragnaros, netting whatever effect it may provide, which turns out to be a net advantage. So we've learnt what tempo is, ways of manipulating it, and how it interacts with other resources. However, how do you win with tempo. Would it not be possible simply play same tempo forever and then every game turns to a fatigue war? Well, symmetrical turn-based games always have something to break the tie. This is the initiative. By default, the initiative falls to the first player (the one who gets to play his cards first). It's the same with chess, and various other kinds of board games. By having initiative, you can play your cards first, charge first, plant your traps first, and generally dictates the flow of the game. Of course, initiative only matters if you can take advantage of it. If the first player doesn't have a turn 1 play, but the second player does, then naturally the initiative now belongs to the player going second. Initiative is a fickle thing, and a large part of the game is one person trying to use their initiative to win, while the other try to wrestle back the initiative. It's a more exciting game of chase. The one running wins by completing an objective, while the one chasing cannot win. Instead, if they successfully manage to stop the runner from completing the objective, the roles are stopped and they become runners themselves. The chase continues until the objective is successfully completed by either player. Naturally, the player who goes first gets to be runner first, and can actually win first. They dictate the race itself. Getting to more specific examples, the one with the initiative gets to put their minions down first. Naturally, it also means that they get to attack first. They can trade however they want, or ignore trading altogether. In return, this means they get the damage in first. If both players do nothing but play the same cards and attack first, obviously the first who do so win. In fact, they win by default, that's how big an advantage it is. The ones who had minions first on the board also gets to dictate how the trade goes, if they ever wanted to. Look at a board like this: http://i.imgur.com/WOSyihi.jpg The board state is completely even. However, it's also easy to that the player who has the initiative here has an immense advantage. 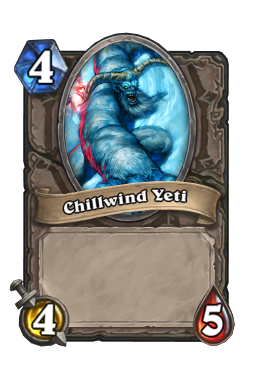 They can, as an example, kill the magma rager with their wisp , kill the chillwind yeti with their own Magma Rager, and then kill the opponent's Wisp with their Chilldwind Yeti. http://i.imgur.com/Qwq732R.jpg As you can see, the board state ends up very favourable. 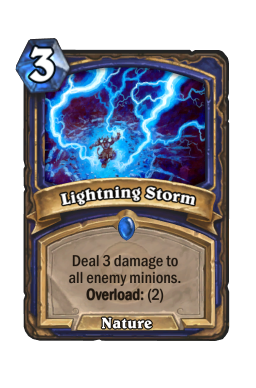 This is also the problem why minions with Charge are so lacking in terms of stats compared to the other drops with the same mana. The ability to cancel out summoning sickness is huge, because it essentially gives you half-initiative even if you're behind on it. There's also the aspect of not letting your opponent interact with it beforehand, but that's for another day. As a Yugi-oh! player since 2006, I've seen some of the most damning examples of the power of initiative. In fact, first player tempo is so large that a fundamental part of the game's mechanic was changed more than a decade after its release (the first player now no longer draws a card on his first turn) just to circumvent this inherent disadvantage. 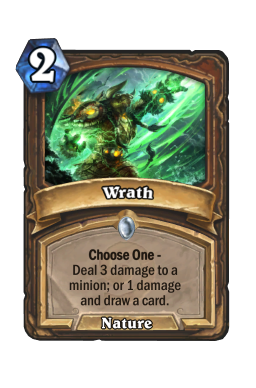 Now in Hearthstone, matches are a lot slower, but what I liked was how Blizzard put in an inherent tempo and card advantage equaliser within the mechanics of the game itself. The second player gets an extra card at the start, and enter the the coin . 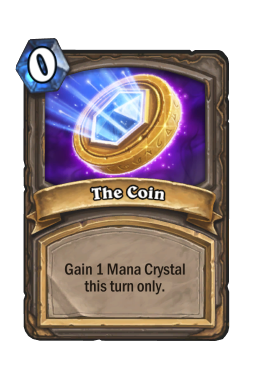 The Coin is a card of immense value, both from a gameplay and a game design standpoint. Without it, Hearthstone would undoubtedly be extremely first-play favoured, just like Chess. The Coin is a specific card that's made to grant instant initiative to the 2nd player at the exact moment they want it, once a game. Not only does this cancel out the inherent unfair default first-turn, it also combines with many other interesting effects in the game to give the 2nd player a fair fighting chance. No variable in this game exists in a vacuum. As I said before, not all beats are equal. Some are just more effective than others, and as the game gets longer and you have more mana to work with, what constitutes as a good 'beat' also changes. Let's look at an example. You go second. The board is cleared within your turn 3. 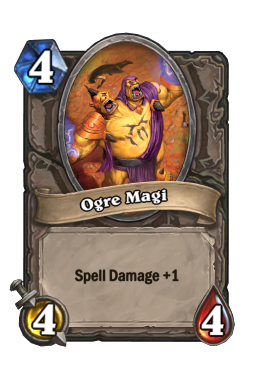 Your opponent plays ogre magi on turn 4. You pass. Your opponent plays another on turn 5. 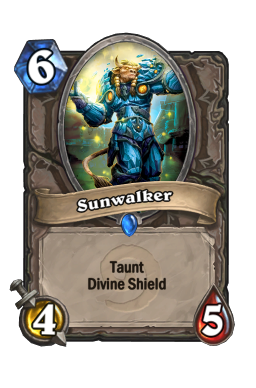 On your turn 5, you coin out a sunwalker . You're down by two beats, yet you're not down by tempo. Your minion will in fact kill both of his without actually dying. What's happening here? Tempo isn't just beats, although it's measured by beats. It's the board state as well as the damage race. You have successfully 'stabilised' the board. Your turn 5 beat simply wins over both his turn 4 and turn 5 beats. There is, however, a large problem with this. You've just used your entire turn to stabilise the board, and the initiative is now passed back to the opponent. If the opponent has no good way of dealing with your Sunwalker, then congratulations, he must now trades in two (and possible more) of his beats for your one beat. 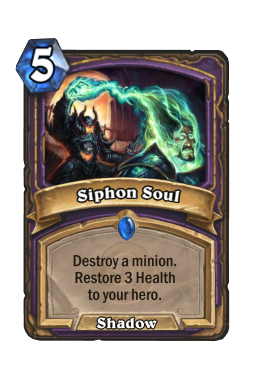 However, if the opponent had something like a siphon soul to instantly remove your Divine Shield Taunt, then suddenly the board position is one again in their favour. You've just traded one beat for your opponent's one beat, and you're still down two beats from the two Ogres from before. This is why it's called virtual tempo. When you put down the Sunwalker, you're not really even on beats, it just feels that way. You never know whether or not you have actually stabilised before your opponent has a chance to react to it. I promised I'd go here from the 'Manipulating Tempo' section. Gaining tempo and maintaining tempo are things any deck would want to do if they do not simply want to lose out of the damage race (note the race is only lost once you've lost). However, different strategies have different approaches to this concept. From the stabilise example introduced above, defensive strategies will look at that more, as well as tempo maintenance, even if they're behind. Offensive strategies would like to gain a tempo lead early on, in order to end the game earlier. Usually, defensive decks work more towards card advantage and late game tempo (AoE sweepers & big minions), while offensive decks work more towards damage and early game tempo (burn spells & small but efficient minions). In a offense vs. defense situation, the later the game goes, the more advantage (both tempo and card) the defensive deck can generate. 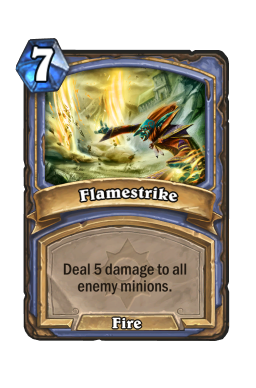 Spells like flamestrike , lightning storm , and brawl are perfectly fine for defensive decks to use, as their effects are powerful, and while they don't develop the board or put the user ahead in terms of the damage race, what these cards do is nullify tempo advantage from the opponent. Offensive decks naturally have the early advantage in tempo, but they may decide to trade creatures to play around these big AoEs. As far as tempo go, however, with Hearthstone's current card pool, defensive decks are heavily favoured in both tempo and card advantage when it comes to defending, especially if they have early beats to match up with the more offensive ones, even if they may be less efficient. With the amount of swing cards available for all classes, aggressive decks are almost always bound to lose out on both card advantage and tempo in the long run. Yet, aggressive decks may win still, simply because the game isn't all about tempo and card advantage. There's still the third part to this series, after all. Even though they both are important, and are measurable metrics to see just how well you're doing in-game, Hearthstone is yet more dynamic still. Until then, though, feel free to apply what you've learnt here. Someone facing massive identity crisis. I can be found portraying my own ignorance, or complaining about why there's a movie in my Steam game list on my blog. I also have a Twitter account, or a Twitch channel where I stream absolutely anything with no schedule. I'm also going to suggest you a song every article. You can find it here.